IBN7 News, is an Hindi-language news channel. Welcome to YuppTV where we enable you enjoy a wide variety of your favorite Indian News channels from wherever you are in abroad. All you need to do is get an internet enabled device and we''ll tell you what you need to do next. 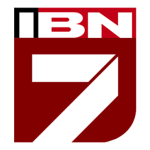 We help you to get up-to date news of all happenings both from India and around the world via IBN7 News Channel. Watch IBN7 News channel live at YUPPTV.